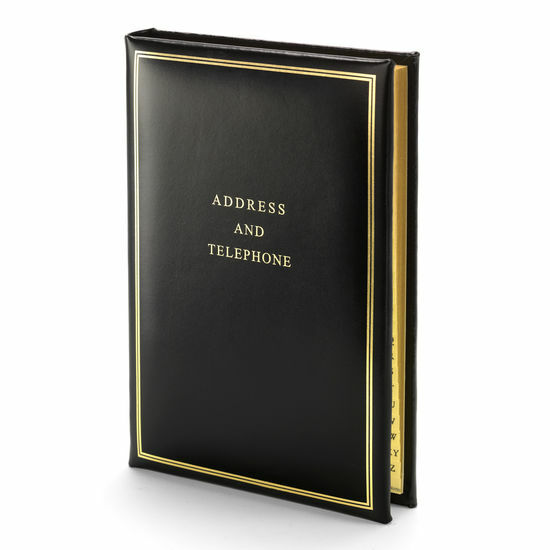 This fine quality, Black English Bridle Leather Address Book has a luxurious padded cover with an elegant gold frame border and gold gilt edged pages. 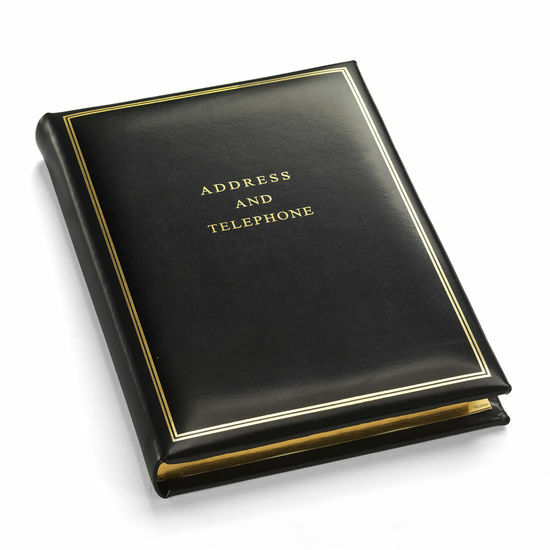 With "Address & Telephone" embossed on the cover and gilt edged pages with coated A to Z tabs this address book is the ideal size for using next to a phone or desk. 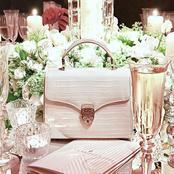 A timeless classic...!